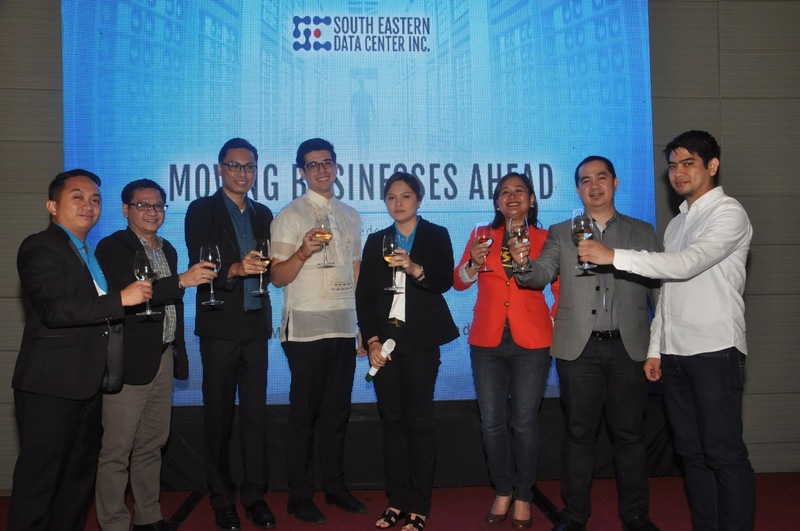 South Eastern Data Center, Inc. (SEDCI), a Philippine-based carrier-neutral data center, today announced new partnerships and launched a host of products that further broadens its wide array of solutions designed to provide the space and security that growing businesses need for their information security requirements. SEDCI’s expanded product line now include SEDCI Cloudable (IaaS), SEDCI Cloud Appclick (SaaS), Cloud Applus (API), SEDCI Circuit (Connectivity), and Managed IT Services. They will complement existing products to create a complete cloud-based highly scalable computing solutions package that will facilitate companies of all sizes in gaining competitive advantages in their markets. • Cloudable, SEDCI’s brand of IaaS (Infrastructure-as-a-Service), is easy to deploy and immediately accessible to users through the virtual platform. SEDCI handles the IT infrastructure including the network, power, and physical servers while providing access to virtual servers so users can cater to their customers’ requirements. Cloudable does not require long-term commitment and delivers a service that reduces the risk of failure while providing business solutions that are cost-effective and efficient. • Cloud Appclick, SEDCI’s Human Capital Management solution which run on Software-as-a-Service platform, offer better management of human resources. Its fully automated HR solutions are user-friendly and flexible for users with minimal training so that the business can focus on growth and expansion. This cloud-based solution syncs accounting data into a single database in the cloud and throughout all authorized devices. It keeps track of sales anywhere and creates invoices where ever using accurate finance data that are also securely backed-up. Collaboration among multiple users is seamless while still allowing the business control over accessibility of its online data in a secure cloud environment. • Cloud Applus offers essential apps such as SMS, Voice, Charging, and USSD APIs that allow even SMEs to reach out to their target market on time. Aside from APIs, SEDCI Cloud Applus also includes various other platforms to connect, create, access, and control through numerous applications powered by GSuites. • SEDCI Circuit Connectivity Services is a redundant network infrastructure that receives dedicated international circuits which are managed 24x7. With a large network coverage of local loops serving as direct connection to SEDCI data center, this unique facility offers the space and security for any type of company. These connectivity services can cater to small businesses, growing companies, and large enterprises with multiple options based on their needs. • SEDCI’s Managed IT Services employ a pool of IT professionals well-versed in the latest technologies and are well-equipped in handling IT operations and resources to support secure, highly available and flexible IT systems . SEDCI’s team of experts proactively monitors and manages the client to support high availability and is readily on-call to efficiently and swiftly address IT concerns. In his first State of the Nation Address, President Rodrigo R. Duterte tasked the newly established Department of Information and Communications Technology (DICT) with the development of a National Broadband Plan for the Philippines. Expected to yield results over a five-year forecast period, this initiative expresses the notion that fast, reliable broadband similar to efficient transport roads, railways and runways will be a major factor in finally achieving the digital transformation of industry in the new economy. In other fronts, the Philippine government is bullish that ICT technology, which today involves cloud computing, will make a difference in the competitiveness of industry. The MSME Development Council Task Force on E-commerce of the DTI allows MSMEs access to comprehensive and focused support for tapping business opportunities and expanding markets through innovative and effective promotion of MSMEs. There’s also the SME Roving Academy that offers training courses related to ICT, such as Expanding Business through E-commerce, Putting the Business Online and the ICT Solution Project. In the next two to three years, IT research firm IDC Philippines foresees digital transformation (DX) to reach macroeconomic scale, which will change the way businesses operate, thus reshaping the global economy. The rise of DX will have far-reaching effects on the market. Massive opportunities will open up for businesses as DX upgrades the capabilities of traditional industries, increases enterprise efficiency and strengthens relationships across the supply chain. Cloud-enabled services will contribute significantly for businesses to reap the maximum benefits from digital transformation. Globe myBusiness (Cloud IaaS): “Small businesses are the lifeblood of the any economy and in today’s hyperconnected world, they need the right tools and technology to thrive. Every day, businesses tell us that faster broadband speeds will increase productivity and help deliver better services to customers. And as businesses become more and more digital, the more that we need to enable them to mitigate risks and ensure business continuity. We at Globe are stepping up our engagement with SMEs and provide them innovations such as Cloud services, powered by our high-speed internet service, to enable SMEs to optimize their businesses and catalyze the growth to the national economy,” said Derrick Heng, Senior Advisor for Globe myBusiness. Xirrus, Inc. (Accounting SaaS): “We are excited to bundle our user-friendly and cost-effective cloud-based platform to streamline accounting processes. SEDCI customers will be happy to know that our IaaS software is not only fully integrated within its accounting functionalities but also integrates seamlessly with the rest of SEDCI’s suite of cloud-driven applications. We can help manage complexity so growing businesses of all sizes become more competitive and realize their full potentials," said John Edward Castillo, Managing Director of Xirrus, Inc.
SEDCI, is a carrier-neutral data center, we provide SMEs the same infrastructure and security that large companies have with our unique, flexible, and scalable solutions. The company offers a wide array of solutions and services. Our colocation services provide the space and security that growing businesses need for their information security requirements. Our data center is housed in a 24/7 highly-secured facility with a team of IT experts. SEDCI also offers various packages for our server hosting services. Our VPS hosting are customizable and scalable virtual servers that can host all web and email data seamlessly. For larger data storage and heavier web-traffic, we provide dedicated hosting. Shared hosting is our basic plan with all the essential features to get brochure type websites up and running. In addition to these, SEDCI has also expanded our line of products such as: SEDCI Cloudable (IaaS), SEDCI Cloud Appclick (SaaS), Cloud Applus (API), SEDCI Circuit (Connectivity), and Managed IT Services. Visit http://www.sedci.com/ for more information. Xirrus, Inc. is a spin-off company of Sagesoft Solutions Inc. in 2016. Our objective is to establish our identity as a leading provider of accounting software with unmatched business consultancy services to a wide variety of industries. Xirrus, Inc. Is the only premier reseller of Intuit in the Pacific Region. Visit http://xirrus.ph/ for more information. Cr8v Web Solutions, Inc. is a Business Solutions provider that specializes in New Media Marketing, Business Automation Software and Custom Software Development. Established in 2009, Cr8v excels in providing no-nonsense business solutions to solve even the most complicated problems. We’re confident that we can give you the right solution for your business. Visit http://cr8vwebsolutions.com/ for more information.